Do you want to make Six pack abs? It is necessary to have protein for strong muscles. 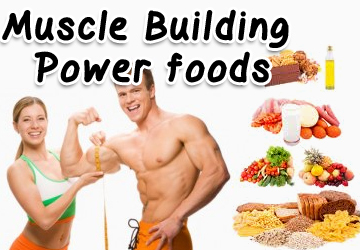 Check out list of food items which are full of protein, helps in making six packs. Soya Bean: It has protein, potassium and phosphorus. Eat it boiled. You can also intake soya milk. Low Fat Milk: It has calcium, protein and iron. You can drink it mixing almond or fig. Egg: It has colin, vitamin D and protein. Eat it boiled or half fry. Banana: It has potassium, iron and beta carotene. You can eat it raw or fruit chat or shake. Chicken: It has vitamin B6, magnesium and iron. Eat it boiled, grilled or roasted. Meat: It has omega 3 fatty acids, zinc and protein. Eat it boiled or roasted. Beans: It has fiber, iron and magnesium. Eat it boiled. It can also be mix in salad. Oats: It has phytochemicals, carbohydrates and calcium. It can be mixed in milk or fruits. Sweet Potato: It has carotenoids, protein and fiber. Eat it boiled or grilled. Almond: It has omega 3 fatty acids, vitamin E and anti-oxidants. Eat it soaked or with milk.